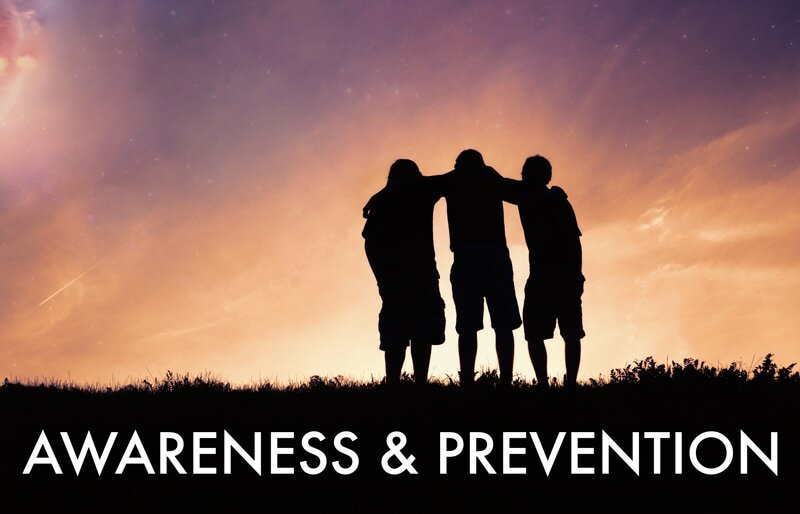 NCF offers several evidence-based trainings that focus on suicide prevention free of charge. These trainings are applicable to a variety of audiences and some can be tailored for the needs of specific groups, such as law enforcement, first responders, medical professionals, educators, or the general public. If your group or community is interested in hosting any of the following training, please contact NCF by emailing info@natechutefoundation.org. This training teaches 3 simple steps that anyone can learn to help save a life from suicide. Just as people trained in CPR help save thousands of lives each year, people trained in QPR learn how to recognize the warning signs of a suicide crisis and how to question, persuade, and refer someone to help. QPR can be learned in as little as one hour, and courses can be tailored for the needs of specific audiences. We have a trained instructor on our staff, or can arrange for other trained instructors to provide this course in your community. Go here for more information about QPR. This is a health curriculum component for middle and high school students. This informative presentation uses evidence based curriculum to discuss signs of suicide, dispel myths around youth suicide and suicidal behavior, discusses risk and protective factors to understand suicide and develop resiliency, and provides resources on how to help when someone is struggling. Our staff can coordinate with your school district and assist with introducing this program into your school. This course is designed to teach parents, family members, caregivers, teachers, school staff, peers, neighbors, health and human services workers, and other caring citizens how to help an adolescent who is experiencing a mental health or addictions challenge or is in crisis. Mental Health First Aid is primarily designed for adults who regularly interact with young people. The course introduces common mental health challenges for youth, reviews typical adolescent development, and teaches a 5-step action plan for how to help young people in both crisis and non-crisis situations. Topics covered include anxiety, depression, substance use, disorders in which psychosis may occur, disruptive behavior disorders (including ADHD), and eating disorders. We also offer Adult Mental Health First Aid which is a similar curriculum, but focuses on helping an adult rather than an adolescent. Go here for more information about Youth Mental Health First Aid. At NCF, we understand that training and programs must meet the needs of your group, schools and community. We are here to support you in developing and implementing a program that will work for you. Please email info@natechutefoundation.org with questions or to discuss options for your community.